Last week I talked about some of the tuning and techniques for drifting FWD cars. Some readers may be asking “why bother?” Well, because it’s a driving skill. And if you can drift a FWD car, it will help you drift a RWD car. Inducing oversteer by dynamically changing the balance of the car is important regardless of which wheels are providing power. 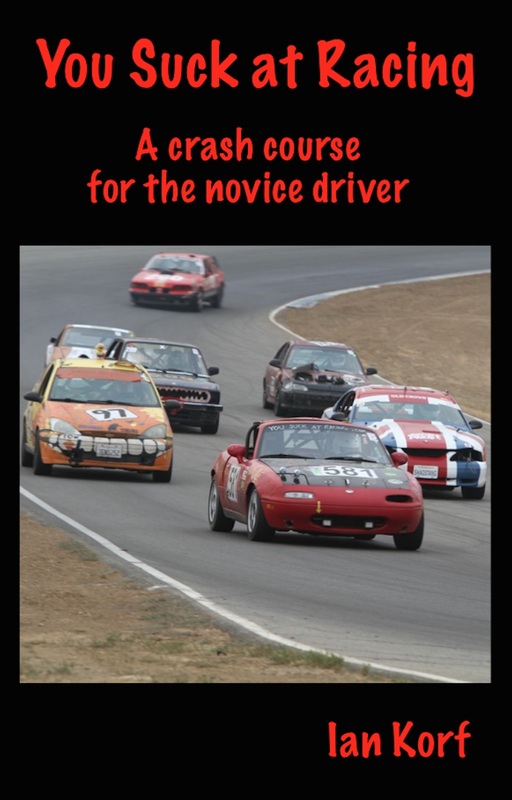 I shot the video below on the skid pad at Thunderhill between coaching sessions. The first part shows an exterior view of some switchbacks. It’s sort of comical how slow I’m going and how little my car looks like a racecar. But even at slow speeds it will slide around corners. In the second part, the camera is inside the car. You can see that I don’t use the hand brake. The car oversteers by changing the balance of the car, not locking the rear wheels. It’s also set up with a lot less grip in the ear. The car has RE-71R tires on front at 26 PSI (cold) and Hankook runflats on the rear at 38 PSI (cold). The next series of shots are what I’m calling point to point. It’s just going around two cones but with different turn radii. I start with a large radius and progressively shorten it. Which one do you think takes the least time? Back in December, I posted on this topic. See Cones in Theory. If you don’t want to read that whole post, here’s the short version: I make the statement that path A takes less time than B, C, or D. That’s the experiment I’m performing in the point to point videos above. I timed the various runs and indeed, the tiny radius is the fastest (path A). It’s also in a very bad spot in the power band. I’m driving in 2nd gear the whole time, and there just isn’t as much power when driving the tighter radii. But it didn’t change the outcome. Path A is the fastest way around a brace of cones. Your thoughts on an aggressive differential WRT its ability to induce throttle oversteer in FWD? Drawbacks? Hmm, not sure. My guess would be that it would not induce oversteer but I’d love to find out for real.